Forty years ago today, senior Motorola engineer Marty Cooper made one very important phone call. From midtown Manhattan, Marty called Joel Engel, then the head of rival research department Bell Labs. When Joel picked up, Marty uttered something rather unexpected: "Joel, this is Marty. I'm calling you from a cellphone, a real handheld portable cellphone." Perhaps unsurprisingly, he was greeted by silence. Not because the phone call didn't work, silly, but because Motorola had won. 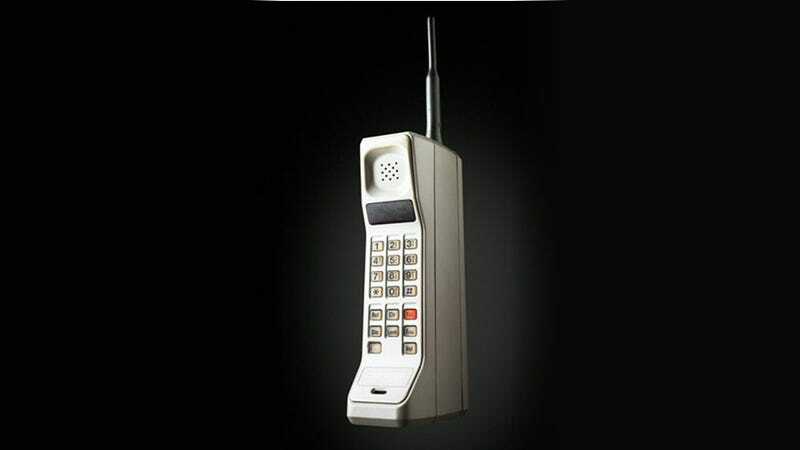 On this very day back in 1973, then, the first ever cellphone call was made. Marty used a Motorola DynaTAC 8000x (pictured above) to make the call. The phone weighed 2.5 pounds, and went on to sell for an incredible $4,000—that's over $9,000 in todays terms—which makes your Android or iPhone seem both incredibly light and insanely good value. Here's to the next 40 years.